Why complicate things that are really quite simple? 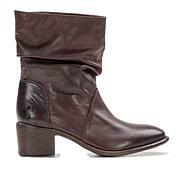 Add instant, movie star style to your favorite everyday looks with these luxe leather lace-up boots from Patricia Nash. 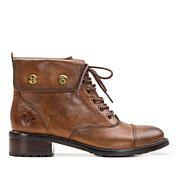 This is a top notch boot. 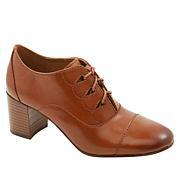 Wonderful leather, great fit, and very stylish. I ordered black, but love the merlot color as well. I definitely would recommend this boot to anyone who is undecided. I initially purchased in black. I LOVED them so much, I went back and bought them in the Merlot color as well. EVERY TIME I wear either of them, I have received a compliment!! I like that the shaft is not overly wide! 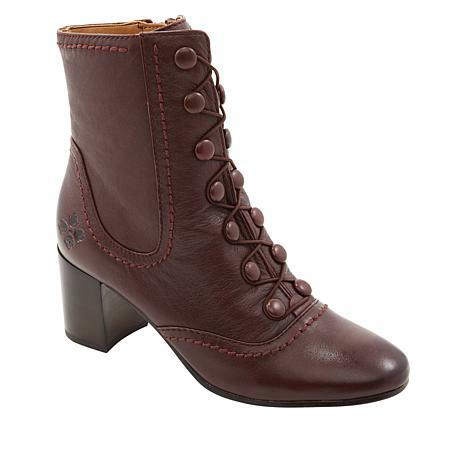 I wear them w/jeans, w/leggings, w/dresses...There is literally NOTHING these cute boots don't go with!!! YOU WILL NOT REGRET Buying these!!! Another WINNER for P. Nash!!! Like Helen Keaney, I initially loved the merlot and knew I would get those, but I simply could not resist the black ones as well. I thought I would probably send the black back but that was not going to happen once I saw the boots were flawless. I was a little worried about them being too narrow, but I just sized up one half size and they work, but also could have stayed with my normal size. Absolutely love these vintage beauties! 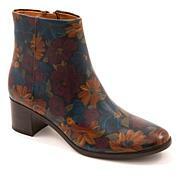 I love love my Mary Poppins boots!Very comfy, good quality, I received raving compliments the first time I wore them! The fit is perfect for my somewhat wide foot! My sister purchased these and I had to have them for myself. True to size. Beautiful design but sad to see they are manufactured in China. I guess I thought Patrica Nash would be USA.